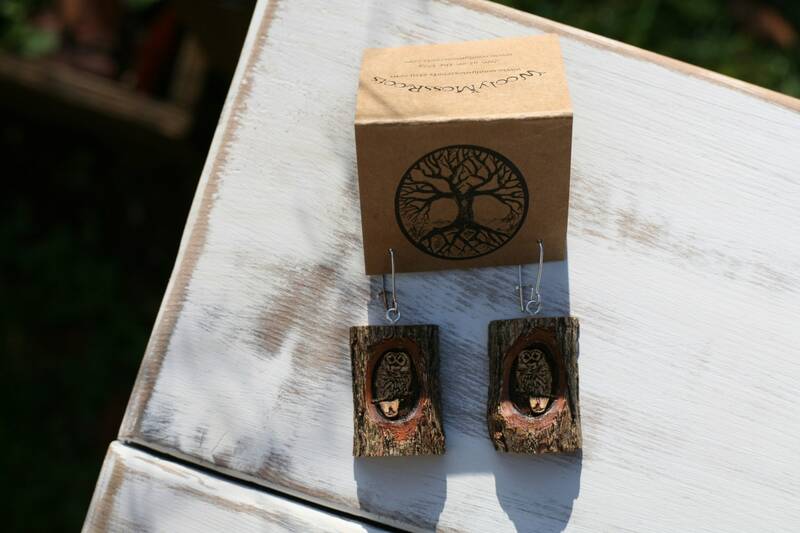 These earrings were created by my husband Jeff in reclaimed sassafras wood. This wood is so fun! 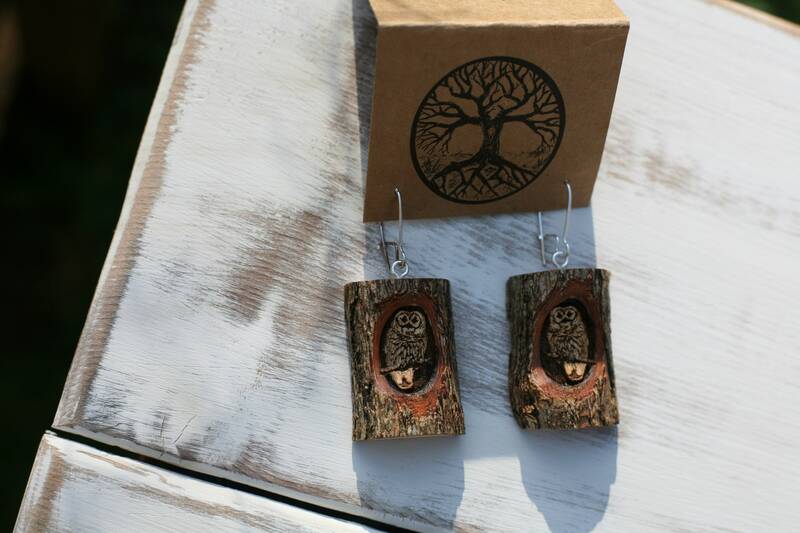 I like the textured bark around the edges, and what makes these earrings so unique are the owls. 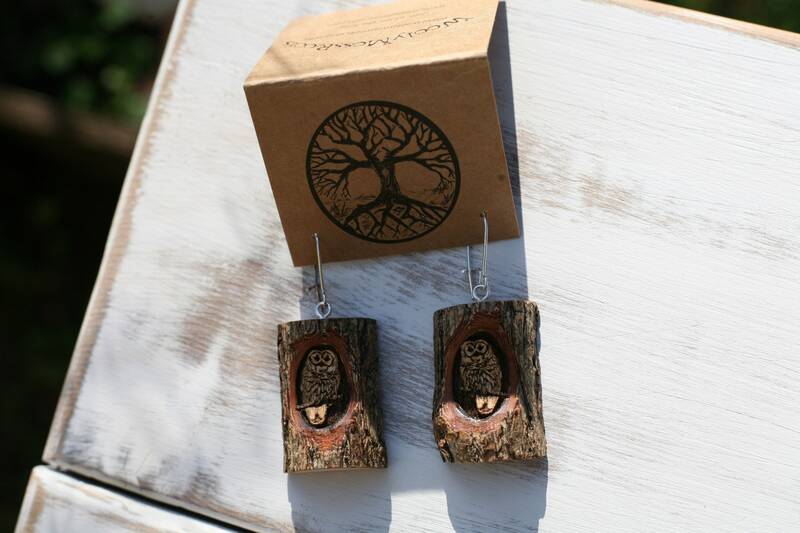 I just love the way Jeff made it look like the owls are looking out of a knothole in the side of a tree. 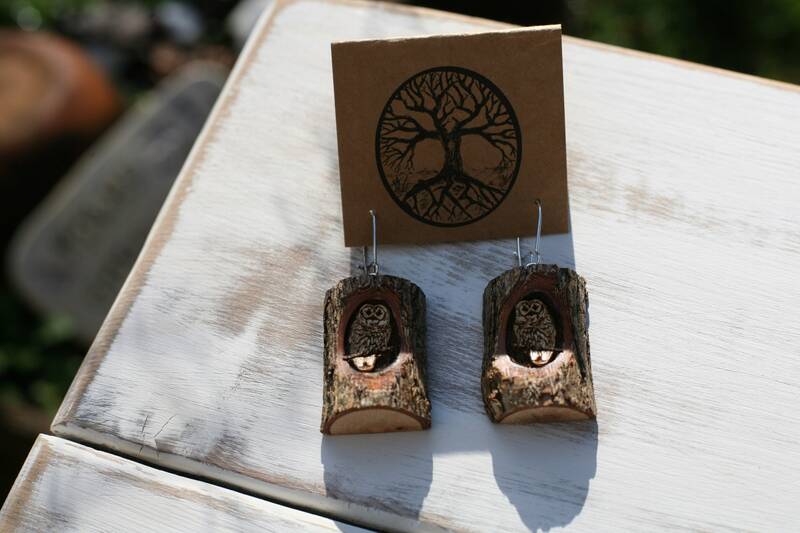 These earrings are lighter than you'd think, but if you are looking for the most lightweight earrings that we offer- the cedar earrings are the best choice for that. They come on silver plated ear wires (which can tarnish over time.) They've gone through a process to help keep the bark on, more on that below. 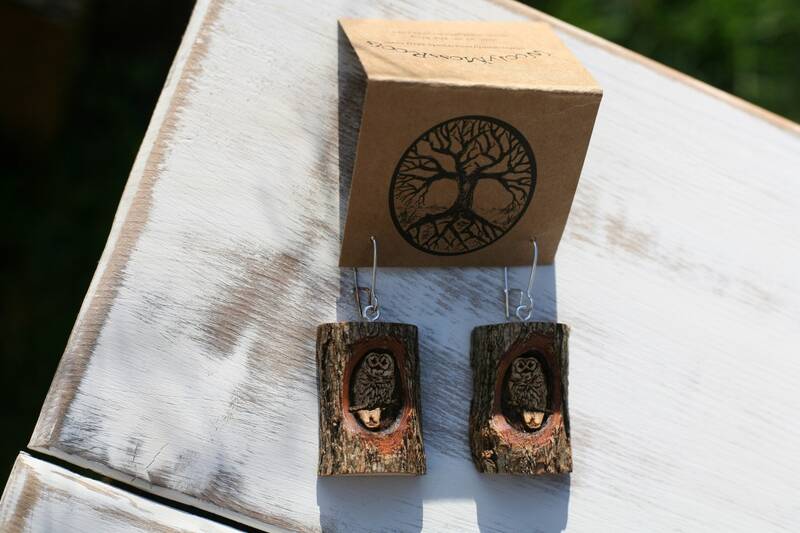 Made for the owl lover, may these earrings bring you joy every time you wear them! Measurements: Between 3/4 and 1 inch wide. 1.25 inches long.